I’ve been going to Taqueria De Anda since high school thanks to my friend, Daniel Torres, for introducing me to it. There are seven locations spread throughout Orange County. 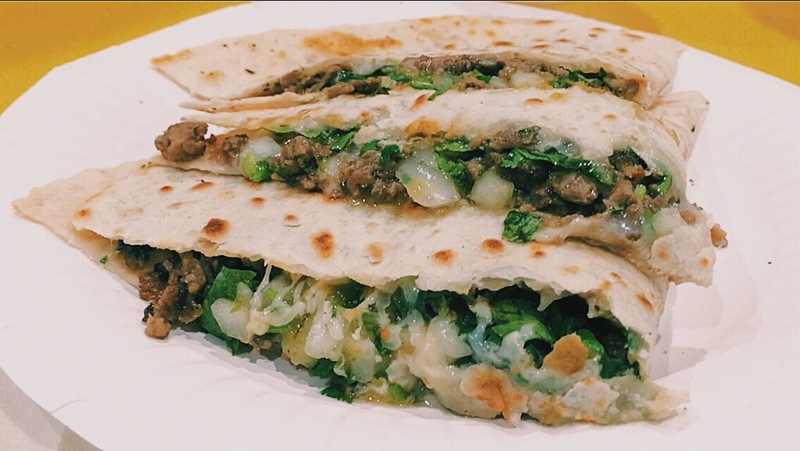 So don’t worry Orange County residents, there’s plenty of taqueria love to go around. One of the best things about this place is that it’s opened 24/7! Majority of the times that I’ve been to Taqueria De Anda, it’s always been at night. Late at night that is. Somehow, Mexican food is best eaten when it’s late. There’s no other type of food that I can really think of that satisfies the hunger past 11PM. Perhaps it’s the fact that when you realize you’re hungry late at night, you want to get something that is cheap, good, and that can be served immediately. Taqueria De Anda meets all of those three requirements easily. 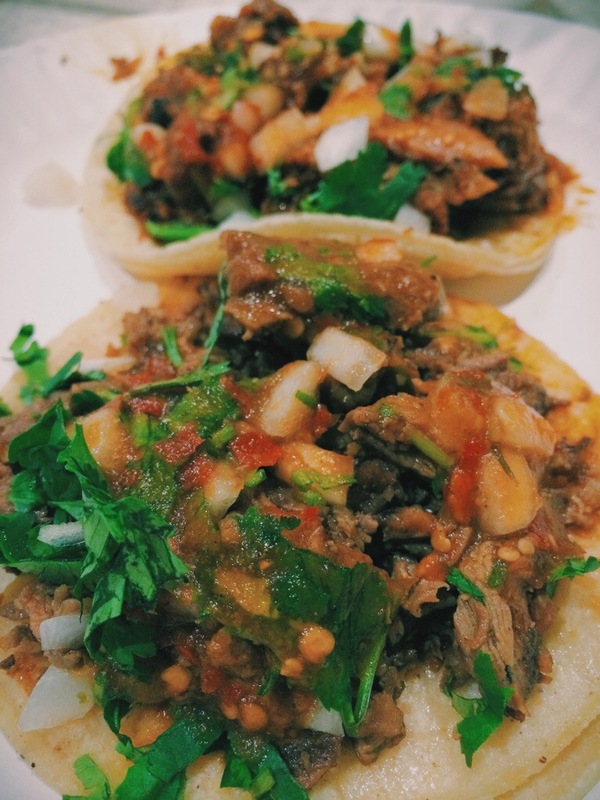 With that said, how could you say no to Taqueria De Anda? So I went there with some of my friends after midnight (of course) and ordered a little bit of everything from the menu. As we ordered in line, they made it right in front of us. So everything was fresh from the grill. We first got the Carne Asada Quesadilla. We also got the Al Pastor Quesadilla. The cheese was oozing out of the quesadillas and the meat was so tender that it melted well within the cheese. When it comes to their tacos, they’re a different story compared to the quesadillas. They really know how to stuff a 3inch in diameter tortilla with a lot of meat. When you eat these tacos, it gets a little messy just from the meat and the salsa but you have to add salsa to your tacos! The meat itself is juicy enough without the salsa but that salsa gives the tacos a fresh feel to the whole taco experience. If you need rice with your meat, then go for the burrito. If you want to go big, then definitely go for the burrito. If you are starving, then the burrito will bring justice to your hunger. Anything you get from here will not disappointment you. The quality of their meat has remained consistent from the many times that I’ve been here. Check out my Tastemade appisode on Taqueria De Anda when I went there with Briana, Derek, Doug, Eric, and Phil. Thanks friends for the late night foodie adventure!